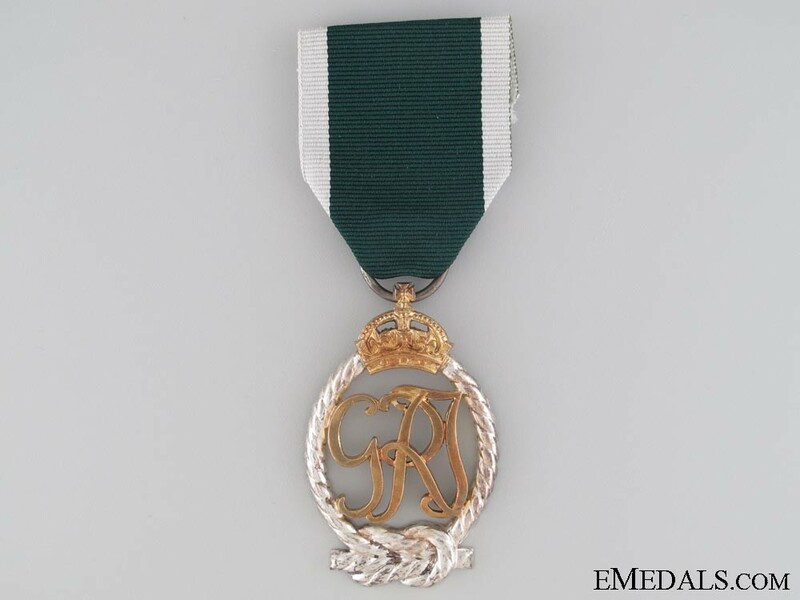 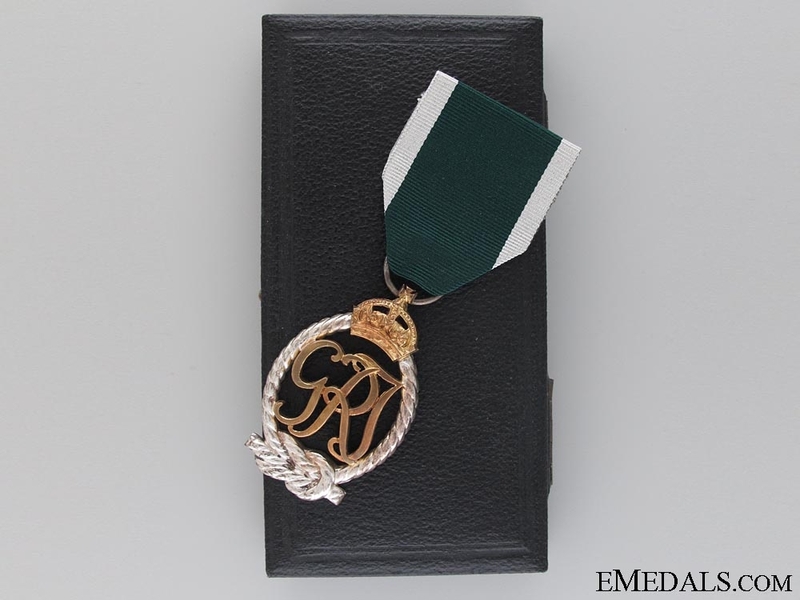 A 1943 Royal Naval Reserve Decoration - George VI (GRI). 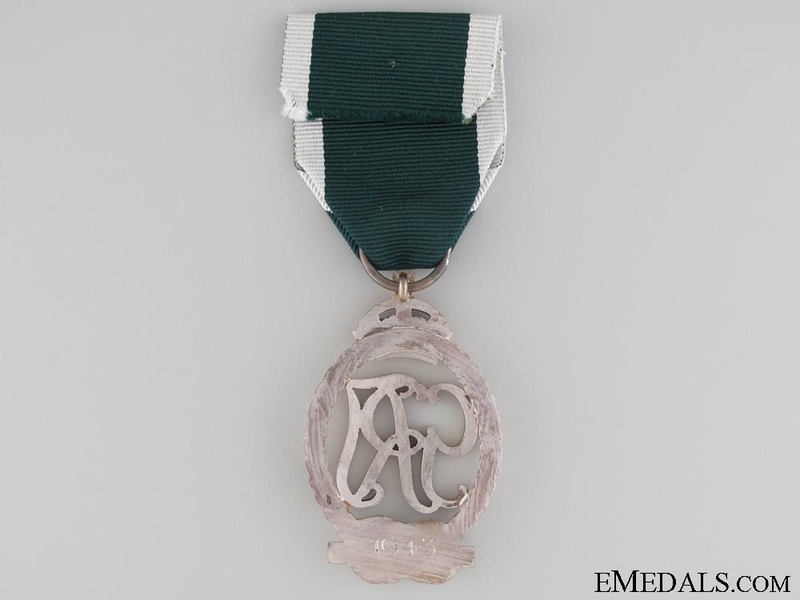 Three-piece construction, silver gilt, engraved "1943" on the reverse, original ribbon, extremely fine. 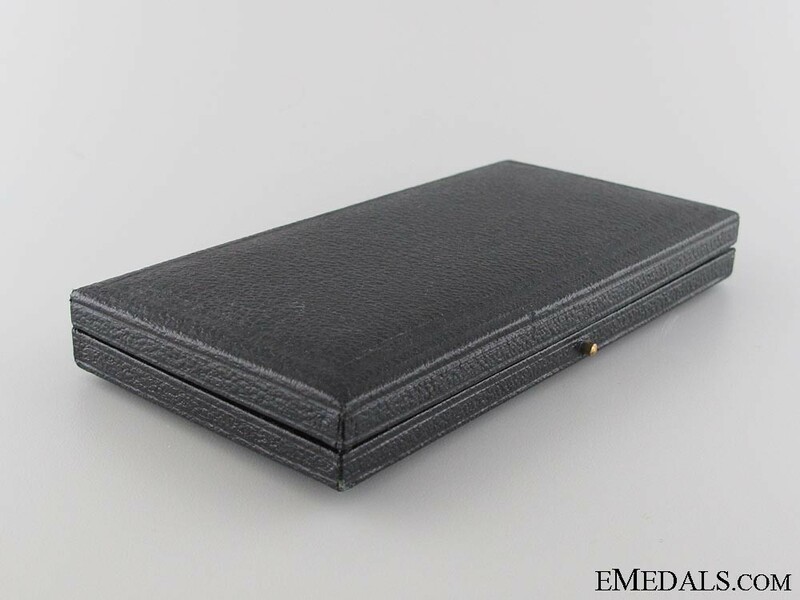 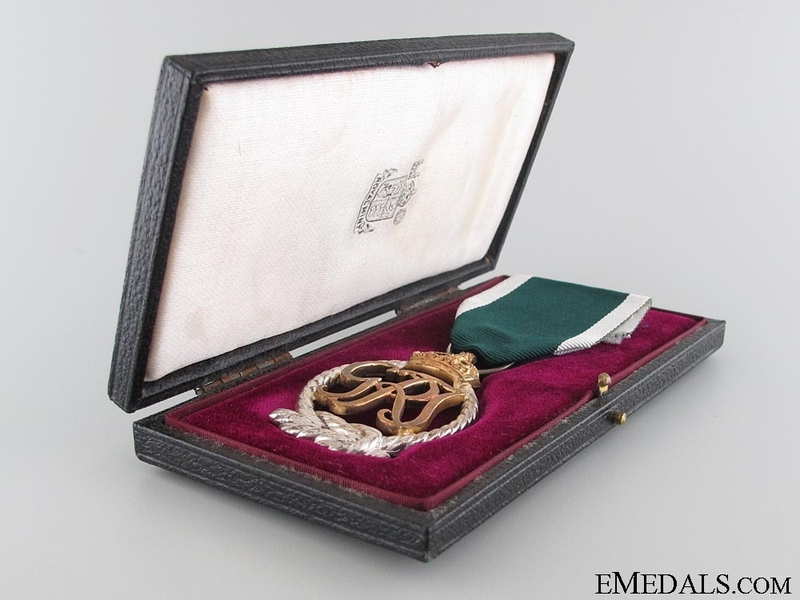 In its hardshelled case of issue, marked "ROYAL MINT" on the inside lid, recessed medal bed, case also extremely fine.